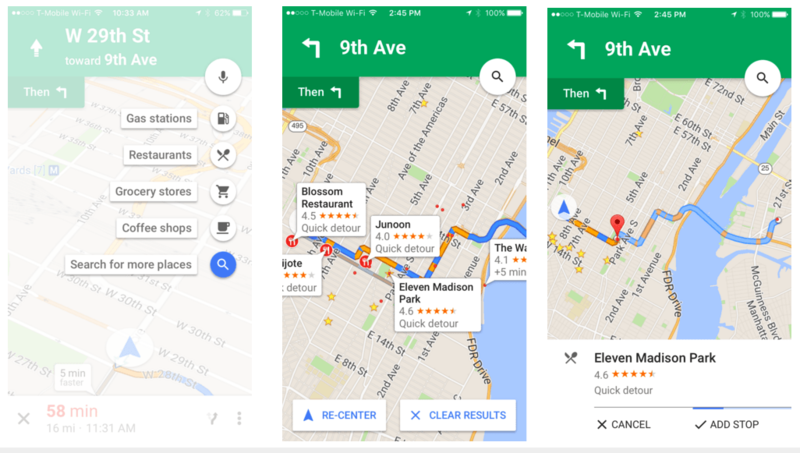 After launching on Android in October last year, a pitstop feature has finally dropped on Google Maps for iOS today. When you’re in navigation mode, you can now tap the magnifying glass in the top right corner to access a drop-down menu of suggested pitstops, like a gas station, or you can search for what you’re looking for. Google Maps will then calculate the time it’ll take for the detour, all without stopping your existing journey. The feature is set to go live in every country where navigation mode is active, which is more than 100 to date. It’s not often that Android users can feel smug about getting an app feature first, but this was one of those occasions. Read next: Is this physical vault for passwords clever or just weird?